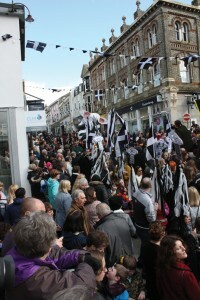 Around our lovely Cornwall, we have so many traditions that truly showcase the quirkiness of our different communities. Here is our pick of the best and brightest festivals and feast days. So grab your calendar and get marking down these days. Probably one of the most well known festivals in Cornwall. Stretching over a week of festivities, and centering around Mazey Day, Penzance and surrounding areas comes alive in a riot of colour, music and dance. With street parties, live music and family-fun activities throughout the festive period, this is not one to miss. 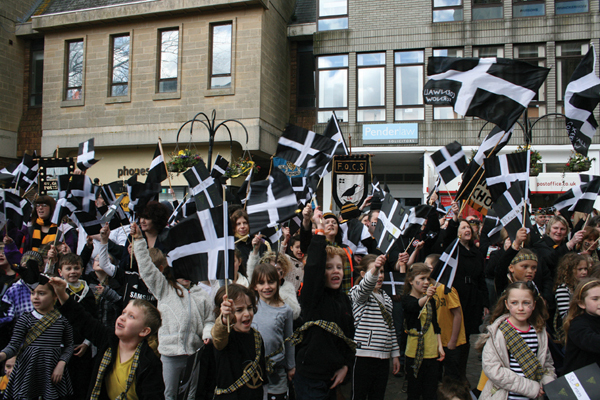 Without a shadow’s doubt, St. Piran’s Day is the biggest party going. Celebrating the venerated miner’s saint, Cornwall gets decked out to celebrate this fantastic figure. No matter what town/village you’ll be in, there will be celebrations galore. Watch out for local schools performing traditional dances and local dress. Centering around May Day, this Padstow-based festival has its origins in the 1600s. With the festivities starting at midnight, and maypole dancing throughout the day, this festival also has amusing hijinks throughout the day, with young maidens being ‘captured’ by the ‘Obby ‘Osses. If you want to see one of the more quirky Cornish festivals, this is the one to see. One of the most famed West Penwith festivals, this night kicks off the Christmas period for many. The village of Mousehole really comes into its own over Christmas, thanks to its world-famous lights, and the Yuletide celebration culminates in this celebration and memorial of legendary fisherman, Tom Bawcock. With Stargazy pie being served up and Bawcock’s exploits being celebrated, this is a real community event that always guarantees a crowd and a sing-song. If you’ve got any other significant dates that you think we should add, please don’t hesitate to contact us via our social media!